>It’s that time again! 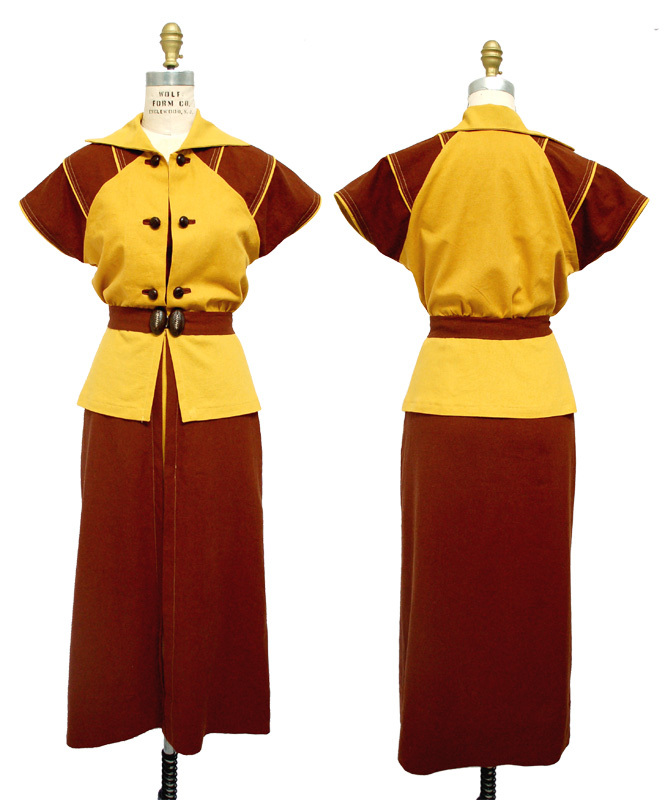 I’ve got a new pattern I’ve been working on- this one a reproduction of a mid 1930s one piece dress. It’s now available for pre-order on my website! Patterns will start shipping mid next week! I just love this pattern to pieces! It’s feminine but it’s not fussy- it has all those little tailored details I love so much in mid 1930s clothing! I started sewing this for myself last fall and tucked it away to be finished later once winter sat in. 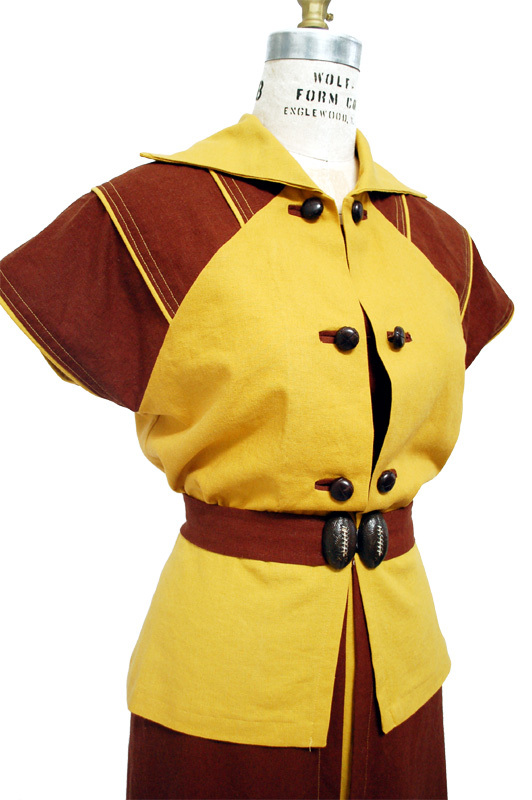 I made my version up with 1930s Collegiate inspiration- I even used a vintage football belt and leather buttons! The fabric is a linen/rayon blend. I know, I tend to use this fabric a LOT but it’s so easy to work with and I love the vintage feel. >Oh my, I love this new pattern. With you release it in size group B? Also, can you recommend a source for linen/rayon blend fabric. >I sure will! It will be in both normal size packs :)I get my linen/rayon blend at Joann Fabrics. They often have sales so you can get it quite inexpensively. It's called "Sew Classic Linen Look". >Oh wow the dress you made up is gorgeous!!! This pattern is fantastic! Great job as always! >Amazing pattern, but I have to say, your version tops it all! 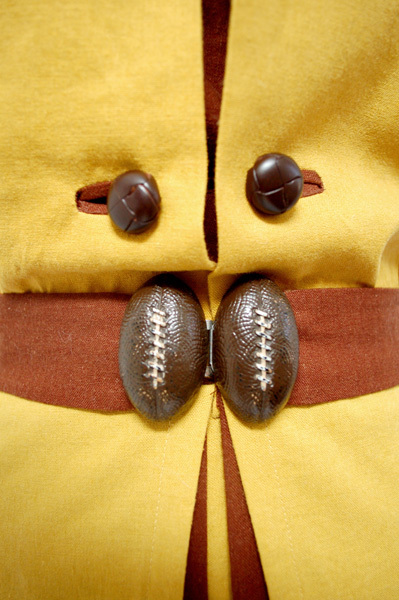 It's simply perfect – those buttons, could it get any better? Nope, don't think so. Congratulations, and don't go looking too far for that excuse, just wear it any old day and be special! >Gorgeous pattern! Too bad the sizing is a tad too small for me. It makes up into a garment that is truly lovely. >Wow, neato! I love the patterns you choose to repro and you make them up in fabrics that would never occur to me. I wonder how View 1 would look in a flowery rayon, though I don't think I'd use their red, white and blue colors… Hmm….. One dress at a time! >I want to see it on you!! I agree with Patricia my bust size is so much bigger then the average pattern sizes I find on-line or in antique shops. It's super cute though. >Okay, swoon!I need a few more hours in the day so I can sew everything I want to sew!